Most people know the Settings app is where you change your wallpaper, choose your ringtone, and connect to Wi-Fi. But there’s a lot inside the Settings app, and it can intimidating even for experience iPhone users. The Settings affect the way your iPhone looks, feels, and operates. Turning the wrong setting on or off can cause a variety of annoying problems, from zooming in your iPhone screen too far to making your iPhone display so dark you can’t even read it! When the Settings app is giving you fits, check out these articles. We’ll help you identify and fix the problem for good! 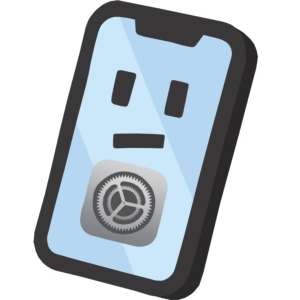 Face ID Not Working On iPhone? The Real Solution. My iPhone 7 Is Slow! Here’s The Real Fix. My iPhone 8 Is Slow! Here’s Why & The Real Fix. My iPhone X Is Slow! Here’s Why & How To Fix The Problem.